I recall vague memories as a child watching on the news, the constant mentioning of the particularly disturbing events occurring in Bosnia & Herzegovina - BiH. From my recollection of this, I couldn’t really comprehend what was happening at the time, but I knew it was something profoundly dark and sad. My inquisitiveness as a child intrigued me in wanting to know the details behind what was happening there, but no one was really able to explain it to me. At school, studying History and having a keen interest in the subject, the events which took place in BiH in the 90’s were not on the syllabus. The course focused on Nazi Germany, American Civil Rights and Vietnam. All these gripping events were extremely thought provoking due to their petrifying nature. These historical occurrences demonstrated the darkness and evil within aspects of human nature. However, as growing up, busy with life, I never went back to research in depth and learn about this major event which occurred during my lifetime. One where not only did the human race demonstrate unlearnt lessons from the past (the famous adage of history repeating itself comes to mind) to prevent such things from happening, but we ignored and stood still as it was happening before our very eyes. In early November 2014, I got the opportunity to visit Bosnia & Herzegovina BiH, as part of a delegation organised by Remembering Srebrenica. As a precursor to the trip, we were each asked to make a pledge to use our various skills and capacities to do something which would help raise awareness of what took place in BiH during the 90’s specifically in Sarajevo, Srebrenica and surrounding areas. My pledge was to write this brief article, explained through stills of what I witnessed there and the stories of those I met on the trip. This was to not only to help illustrate these key events in contemporary history, but also to do a little to show the importance of human life and the evil of hate. I hope I can do much more from here on, but this certainly acts as a good starting point. On the first evening we got to visit the gallery of Tariq Samarah, a survivor of the BiH war in the 90’s and photographer. 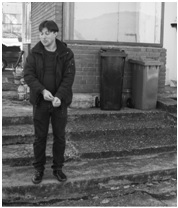 He spent years compiling the project "Srebrenica - genocide at the heart of Europe". He has widely exhibited his works most notably at the Holocaust Museum in Washington DC and United Nations building in New York. 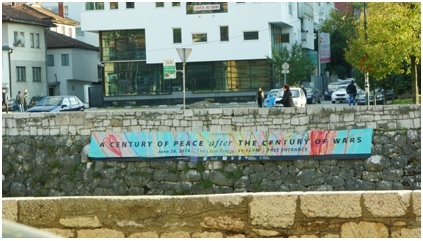 He is also renowned for his Belgrade billboard campaign. The visit to the exhibition was an eye opening experience for me as Tariq’s work really captures the essence and magnitude of what took place there. The photos below are photos of his works; they really speak for themselves, however I will add some narrative for contextual understanding. 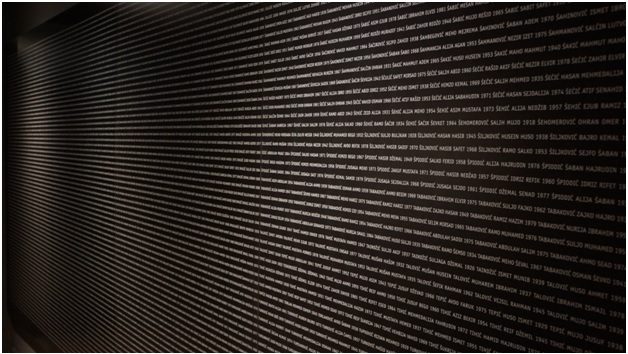 The picture below is of a wall at the beginning of the exhibition which lists out the names of the victims of the genocide in Srebrenica. In a world where we are always bombarded by numbers and figures, our minds do not truly encapsulate the true essence of what these figures mean in tangible terms. I felt that the way these names were listed out individually, emphasised the enormity of just how many people had died. By addressing their names on the wall, gives these victims some sort of identity rather than them just being part the quoted number of circa 8,000, killed because of their religion. Ultimately, this is deying the purpose of genocide by reinforcing individual significance rather than combined hate for a group of people with shared beliefs. 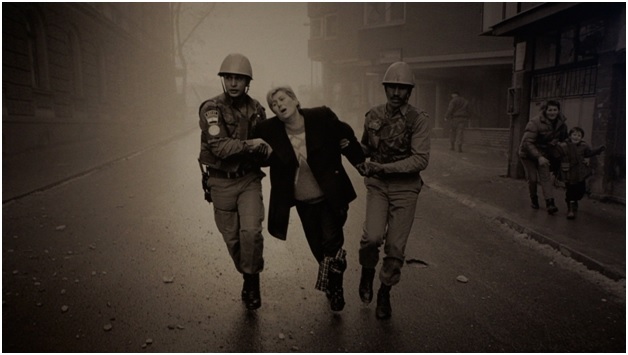 The image below was taken by Tariq in Sarajevo during the siege, the anguish on the woman’s face illustrates the difficulty the people were put under during the siege of Sarajevo and how their situation left them feeling helpless and living in constant fear. 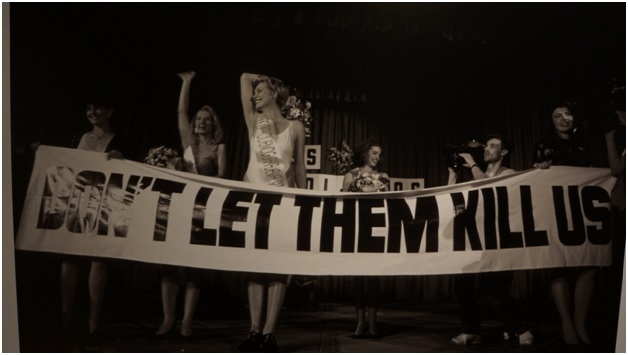 The following picture particularly drew my attention, which was a still from the "Ms Sarajevo" competition which was held during the war. It really underlines how the people attempted to sustain a sense of normality in their lives during the siege and not let their spirit be broken by what was happening. I later saw a much darker and slightly disorienting side to live their lives with normality within a documentary which we were shown. In this, two young girls (who must have been in their teens) were going back from their school to their homes in war torn Sarajevo, and one of the girls said (jokingly) to her friend who was filming “we will now come under sniper fire”, then they both started to run whilst laughing, under rainfall of sniper fire. Some of the bullets were only barely missing them and hitting the pavement beneath. I can only imagine, in their head they were thinking this was some kind of game to help distill what was really going on. A sad and shocking moment for me as it showed a side of humanity and suffering which no one so young should really have to encounter or regard as 'normal'. 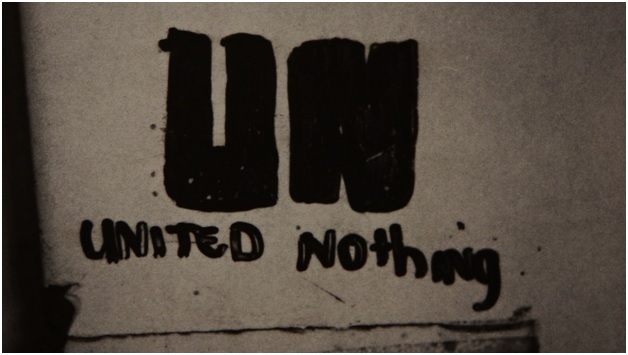 This picture of graffiti taken by Tariq shows the despair these people had in international institutions like the United Nations due to their failure to prevent the genocide across BiH. Many of these people still feel a great sense of injustice from global organisations, as they appear to have just watched inconsiderately as it was taking place right under their noses. 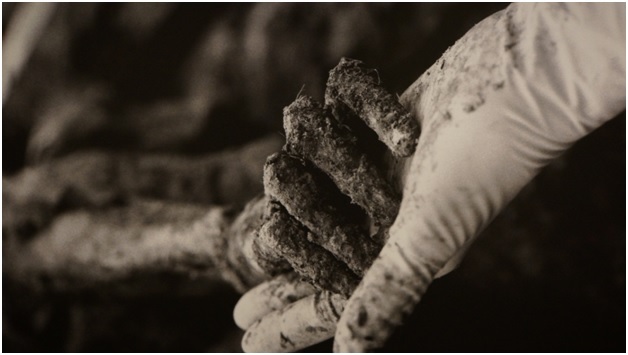 The below image by Tariq, shows the hand of a dead corpse held by (I believe) an International Commission on Missing Persons – ICMP, worker, I was later to learn about the amazing work done by the ICMP to help identify those who has been killed in the genocide across BiH and left in mass grave sites, some of which are still undiscovered till this day, circa 20 years on. 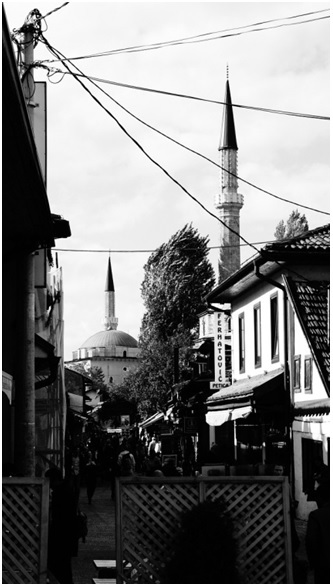 During the Balkans conflict of 1992-1995, the BiH town of Srebrenica was declared a UN Safe Area in 1993, under the watch of the United Nations Protection Force (UNPROFOR). In the days following Srebrenica’s fall, more than 8,000 BiHn Muslim men and boys were systematically massacred and buried in mass graves. Thousands of women, children and elderly people were forcibly deported and a large number of women were raped. It was the greatest atrocity on European soil since the Second World War. The International Court of Justice (ICJ) and the International Criminal Tribunal for the Former Yugoslavia (ICTY) ruled that the mass execution of BiHk men and boys in Srebrenica constituted genocide. And not forgetting the terrible and vile acts which were commited against the women, the mothers, daughters, sisters and wives of those killed. 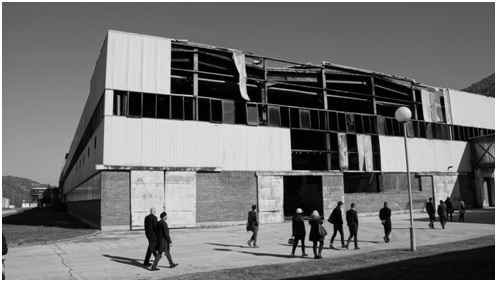 The next day we visited the Potocari memorial centre and location of the former UN base, we met with Hasan Hasanovic, who told us his story of courage and what had occurred at and surrounding the UN base. Serb military and paramilitary forces from the area and neighbouring parts of eastern BiH and Serbia gained control of Srebrenica for several weeks in early 1992, killing and expelling BiHk civilians. In May 1992, BiHn government forces under the leadership of Orić recaptured the town. Over the remainder of 1992, offensives by BiHn government forces from Srebrenica increased the area under their control, and by January 1993 they had linked with BiHk-held Žepa to the south and Cerska to the west. At this time, the Srebrenica enclave had reached its peak size of 900 square kilometres (350 sq miles), although it was never linked to the main area of BiHn-government controlled land in the west and remained, in the words of the ICTY, "a vulnerable island amid Serb-controlled territory". Over the next few months, the Serb military captured the villages of Konjević Polje and Cerska, severing the link between Srebrenica and Žepa and reducing the size of the Srebrenica enclave to 150 square kilometres. BiHk residents of the outlying areas converged on the town of Srebrenica and its population swelled to between 50,000 and 60,000 people. 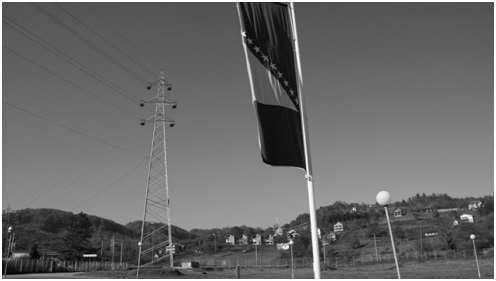 It is important to note In April 1993, the United Nations declared the besieged enclave of Srebrenica in the Drina Valley of northeastern BiH a "safe area" under UN protection. However, in July 1995, the United Nations Protection Force (UNPROFOR), represented on the ground by a 400-strong contingent of Dutch peacekeepers, Dutchbat, did not prevent the town's capture by the VRS and the subsequent massacre. 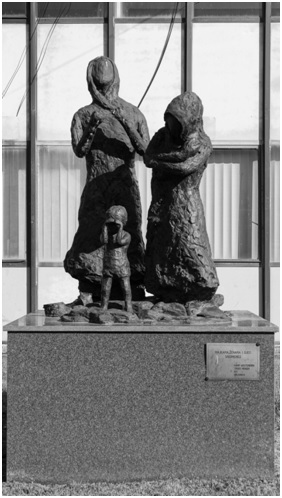 In 2004, in a unanimous ruling on the case of Prosecutor v. Krstić, the Appeals Chamber of the International Criminal Tribunal for the former Yugoslavia (ICTY), located in The Hague, ruled that the massacre of the enclave's male inhabitants constituted genocide, a crime under international law. The forcible transfer of between 25,000 and 30,000 BiHk women, children and elderly which accompanied the massacre was found to be confirming evidence of the genocidal intent of members of the VRS Main Staff who orchestrated the massacre. In 2005, in a message to the tenth anniversary commemoration of the genocide, the Secretary-General of the United Nations noted that, while blame lay first and foremost with those who planned and carried out the massacre and those who assisted and harboured them, the powers with the ability to had failed to respond adequately, eluding to the UNs serious errors of judgement. General Philippe Morillon of France, Commander of the United Nations Protection Force (UNPROFOR), visited Srebrenica in March 1993. By then, the town was overcrowded and siege conditions prevailed. There was almost no running water as the advancing Serb forces had destroyed the town's water supplies; people relied on makeshift generators for electricity. Food, medicine and other essentials were extremely scarce. Before leaving, General Morillon told the panicked residents of Srebrenica at a public gathering that the town was under the protection of the UN and that he would never abandon them. 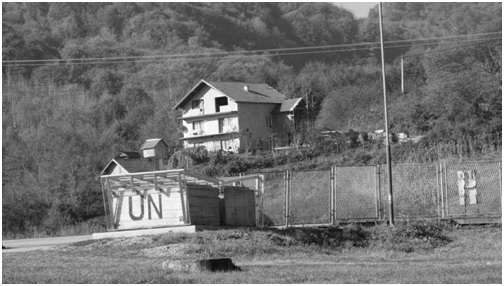 Between March and April 1993 several thousand BiHks were evacuated from Srebrenica under the auspices of the UN High Commissioner for Refugees (UNHCR). The evacuations were opposed by the BiHn government in Sarajevo as contributing to the ethnic cleansing of predominantly BiHk territory. The Serb authorities remained intent on capturing the enclave. 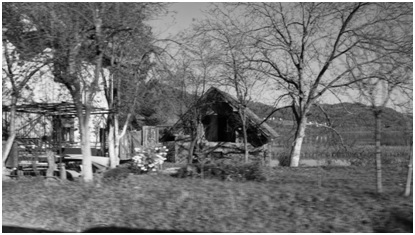 On 13 April 1993, the Serbs told the UNHCR representatives that they would attack the town within two days unless the BiHks surrendered and agreed to be evacuated. The BiHks refused to surrender. Then we went to see the actual memorial centre and graveyard where thousands of the victims are buried. The picture below is a merging of four different stills. From left to right, I have tried to give the reader some perspective into the numbers of graves that were there, and towards the right you can see that the burial of victims continues as more bodies are discovered 20 years on. I have experienced death in my family before and helped wash i.e. performing of “Ghusl” - the Islamic ritual of washing the dead body before burial) and helped bury the body of my grandfather. Yet the experience at the memorial graveyard was extremely moving and a very disturbing one for me, in knowing that all the victims were once living here in the very near surroundings peacefully and were then all of a sudden erased from the world forever through no fault of their own. There are graveyards and memorial centers across the world of soldiers from battles in the past; however these were no soldiers, rather innocent civilians, killed simply for being Muslim. According to the Islamic tradition of the Prophet Mohammed (pbuh) advises visits to graveyards to remind one of death, not only to acknowledge that every human will one day face death, but also to reinforce living one’s life with dignity, respect and love for others. It was apparent that those who had carried out such an atrocity had none of these attributes. 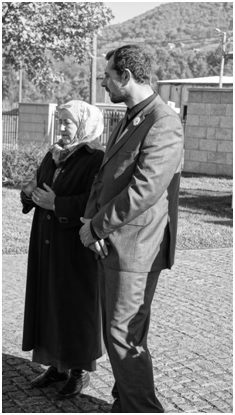 Towards the end of the Potacari memorial center visit we met the “Mothers of Srebrenica”, an organisation encompassing of those women who lost their husbands, fathers, sons, brothers, cousins and uncles in the genocide. We commonly hear a figure of speech “he/she lost it all”, when people talk about someone losing their wealth or to describe the death of a partner in someone’s life. Never had this expression been more applicable, than when I heard these women tell their stories of losing their loved ones. I find it sickening that the Serbs killed most of the men and boys so that the lineage wouldn’t continue and these women have been living their lives with little or no support for a little under 20 years. 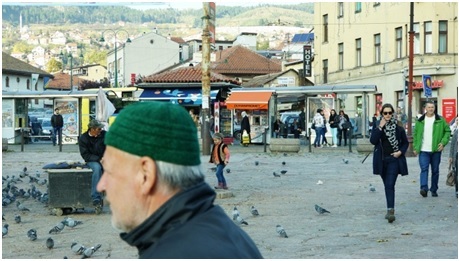 At the time of the genocide, Srebrenica was a Muslim-majority town, with 75% of the population being BiHk, however now according to the latest censuses its population is only 3% Muslim. What is even more revolting is that this hate continues to this very day. After hearing these women talk, we walked with the woman pictured, Nirtha Efendić to a little shop she has across the road from the memorial site, where she sells small memorabilia (t-shirts, fridge magnets, books etc) to make a little living for herself, we saw a car drive past, one of the people inside the car spat towards our direction and they horned a few times as they were driving by. Initially, I didn’t think much of this, until I asked and was told that these were some of the locally residing Serbs. 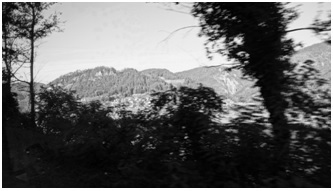 Many of whom until this day deny what happened in Srebrenica and carry the hatred to present. I further learned that the soldiers who had committed these heinous crimes were residing freely in and around Srebrenica, protected under international law which states that soldiers acting on orders cannot be held accountable for actions which are deemed war crimes, rather it is their generals or superseding officers who gave such orders would be held to account if successfully tried. This I find very disturbing and in my opinion extreme injustice, as in a war soldiers from both sides die, but this was a case of genocide, these Serb soldiers killed innocent unarmed people without any remorse. Therefore, each and every one of them should be held accountable for the multiple murders they have committed. Following the memorial visit, we then got in our coach and drove all the way to Tuzla, the scenic beauty of the countryside was an unmissable site, tainted only by the sporadic occurrences of abandoned homes which we observed from time to time as we drove, many littered with bullet holes and damaged by the shelling. An unsettling example of the juxtaposition of the beauty of nature distorted by the (at times) ugliness of human nature. As most of us reclined in our luxury coach packed with cool drinks, some of us grabbing a quick nap to rest up for the next part of our journey, it was difficult for me to imagine that those that tried to escape what was going on in Srebrenica, actually walked the 63 mile journey to Tuzla under circumstances of starvation and constant threat of shelling or being caught and killed by the Serb soldiers. There are moments in your life where you are reminded of the ease and luxury of our lives; in contrast with the hardship and anguish those less fortunate than us face day in and day out. As was the case of the men who made this journey, many of whom obviously perished during it. This was definitely one of those moments of reflection for me. As we reached the Podrinje Identification Project, run by the ICMP, you could see the surrounding hills, littered with hundred of graves, again a reminder of the many people whom lost their lives to this genocide. Within the ICMP centre here, our guide showed us the remains of hundreds of bodies, or rather distributed body parts, remains of what were one walking, talking, smiling human beings left to rot in plastic bags, because there isn’t sufficient substantial DNA from a surviving family member to properly identify them. After killing these people the Serb soldiers re-dug up the remains from the mass burial sites and moved remains elsewhere, hence the remains of many people got dispersed across huge expenses of land, making it difficult to identify individuals separately as within a mass site you may find a mixture of body parts belonging to a number of different people. 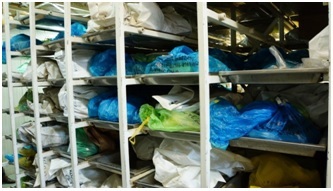 The extent to which this caused difficulty for the ICMP can be illustrated by one example, where one person’s remains were located in 5 different places in 11 different bags. Amongst the remains at this centre our guide informed us, there were 120 bodies that had no surviving member of family, so they shall never be identified. 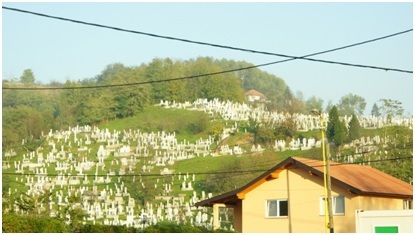 The ICMP estimate there are still 8,000 people missing across BiH as a result of the 90’s war, and many mass burial sites still have not been discovered since all but a few soldiers have ever come forward providing the location of the sites. Since none of these 8,000 has ever been found alive the probability of them being alive after 20 years is very slim, therefore they are presumed dead with a high probability. Our guide further went on to tell us that this year they have had to perform around 800 exhumations because they later found the other body parts at different sites of those already buried, and when entered cumulatively into the DNA matching (i.e. 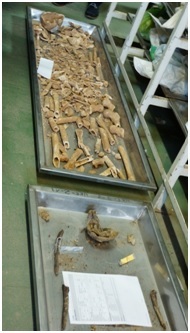 in addition to the previously held DNA data about the body), it lead to a different result in terms of identification. 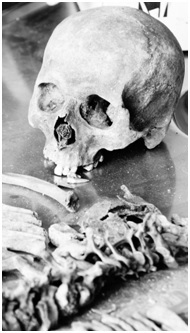 We were told that the body’s decay process is very quick and since these remains are almost 20 years old and to achieve a strong DNA string, they require quite a substantially sized cross section of bone, if this problem is solved then it leads to the other issue of finding a surviving donor to complete the DNA matching and identification procedure. I was really amazed by the extent of detailed and meticulous analysis carried out by the ICMP and effort put into tracing the facts around finding and identification of the missing people of the genocide. Indeed this evidence is a strong testimony for the disturbed families, whose hurt continues today, due to many Serbs denying the total occurrence of the genocide. The work of the ICMP proves, without question, that it did happen. Following this insightful yet moving visit, our delegation pushed onto the ICD, another ICMP centre located close by where more of the biological and anthropological work associated with the DNA matching process is done. Here our guide informed us that initially and close to the events of the genocide when the bodies were being discovered, the conditions under which they were stored were really bad and caused a lot of decay in the bodies, this is ofcourse due to the lack of facilities and organisation, in a country reeling from war and genocide. For instance in Tuzla, where a lot of the bodies ended up, they were temporarily stored in mines, under poor preservation conditions and hence caused an accelerated decay. We were told how many of the families of the victims had to consider plea agreements with the Serb soldiers who carried out these atrocities, so those soldiers that were being tried would give up the locations of the burial sites in return for getting a reduced sentence. 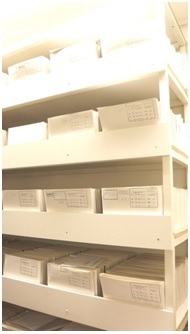 The above picture shows the filing area where all the unsolved cases are stored, where information is updated as and when it is discovered for the case. The following day we went to another ICMP location in Sarajevo, here we were shown a presentation showing some of the key figures and statistics around the ICMPs work, not just in BiH, but other more recent conflict zones such as Iraq, Afghanistan and Syria. Furthermore we were given a tour of the DNA matching labs. It was clear from this presentation that the work the ICMP have done has benefited DNA testing as a whole and many medical advances have been made in this area due to their diligent efforts, which has helped many governments and their criminal investigation departments. 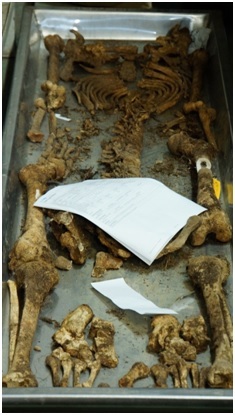 Nonetheless, as I saw some of the key stats around bodies found in BiH, in years following the genocide and war, we could see that the trend of bodies being found, continues, with 592 bodies found in 2010, 501 found in 2011 and 456 found in 2012. Furthermore, we learnt how the international community failed the BiH people time and time again, not only in the lack of preventing this genocide but also causing fundamental errors which impaired the process of recovering and identifying the missing people. For instance in late 1995, Madeleine Albright, the then US Ambassador to the UN, offered to help in the recovery exercise by offering the BiH government satellite images taken over the affected regions before and after the genocide to help in the location of the mass burial sites due to an apparent shift in landscape. However, she made the fundamental error of releasing this information in public. This alerted the Serb soldiers who then performed more displacement of the bodies; to effectively make such satellite image searches void and unproductive. It was very sad to note that the entire landscape of BiH was changed as a result of this genocide. For instance, if you refer to the earlier map, which shows the areas were these killings were carried out, this area is now known as the Republic of Serbska, where the population of Muslims has all but been eradicated, is not recognised by any international body as an independent state but esides within BiH as a Serb controlled territory, or captured land after the war, which lead me to wonder where was the “Treaty of Versailles” for this war? Our delegation then went on a tour of Sarajevo, provided by a local History and English school teacher. 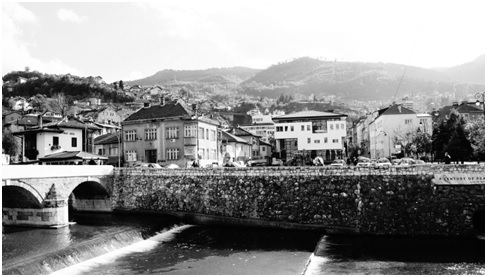 Here are some photo’s of Sarajevo bridge and outskirts of surrounding houses located on hills and then further on in the background you can see the much taller mountains, making it very clear how the city was easy to keep under siege by surrounding Serb military tanks, as they had a clear line of sight to the inhabitants within the city itself. 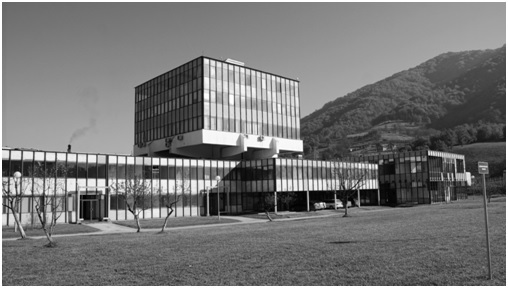 The below image is of the National and University Library of BiH and Herzegovina (NUBBiH). 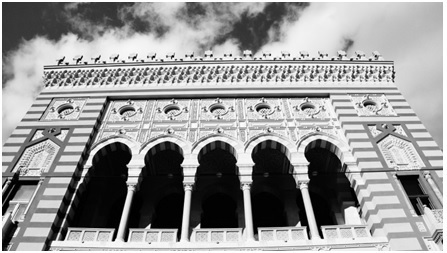 The edifice was built in a stylistic blend of historical eclecticism, predominantly in the pseudo-Moorish expression, for which the stylistic sources were found in the Islamic art of Spain and North Africa. 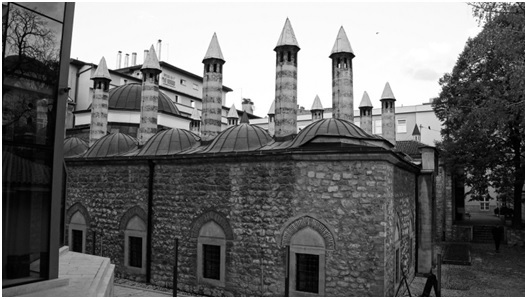 On 25 August 1992, Serbian shelling during the Siege of Sarajevo caused the complete destruction of the library; among the losses were about 700 manuscripts and incunabula and a unique collection of BiHn serial publications, some from the middle of the 19th century BiHn cultural revival. Before the attack, the library held 1.5 million volumes and over 155,000 rare books and manuscripts. Some citizens and librarians tried to save some books while they were under sniper fire and many died. 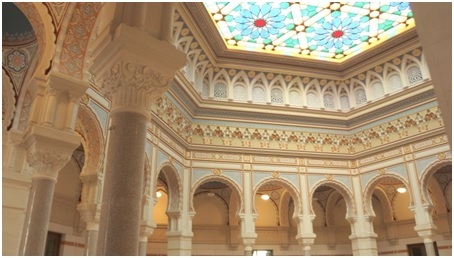 The architecture inside this building is break-taking to say the least, resembling to what I can describe as a fusion between Ottoman style mosque interior design and stained glass interiors of medieval styled churches. 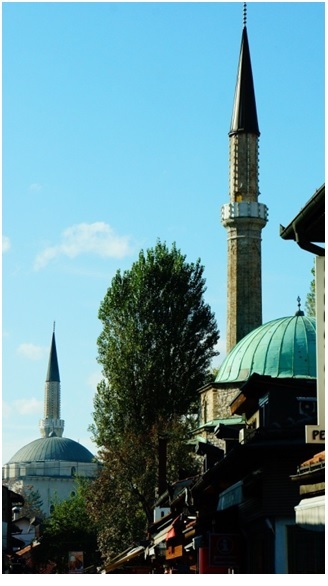 Downtown Sarajevo is a historical masterpiece, littered with mosques made by the Ottomans during their rule which started in 1384. Amongst the hustle and bustle of the town centre streets where market traders were hard at work, people were eating, tourists were snapping pictures, and sadly I could see poverty and sadness in the faces of many. This is to be expected by people who have suffered so much in a war which was all too very recent, BiH still suffers from high levels of unemployment, with figures reaching as high as 60% in recent years. 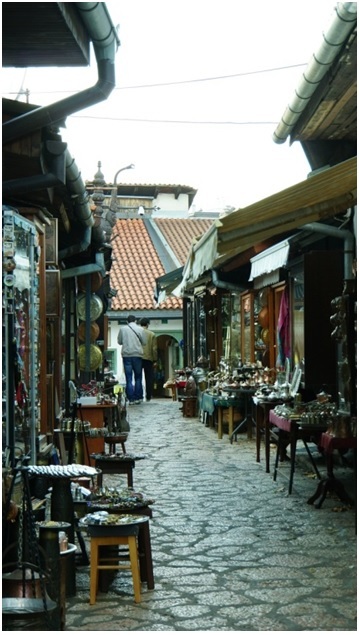 Travel and tourism is suffering due in part to the recent increase in marketability of other neighboring countries like, Croatia and Montenegro. Speaking to some of the locals, I found that other ethnicities living in BiH would promote the country of their ethnicity over BiH, despite they live here and have done so for a number of years. The market streets were mainly cobble roads and you could find an abundance of souvenirs, and many made with the shells of bullets, for me it was intriguing to find these, once utensils of death now being used as pens and key chains. The town centre of Sarajevo is amazing in many ways, there is one central street where there is a type of border where one side of the buildings and architecture is Ottoman, and resemble closely to Istanbul and on the left side of this artificial border of the buildings are European, and resemble closely to Madrid or part so to Northern Italy. 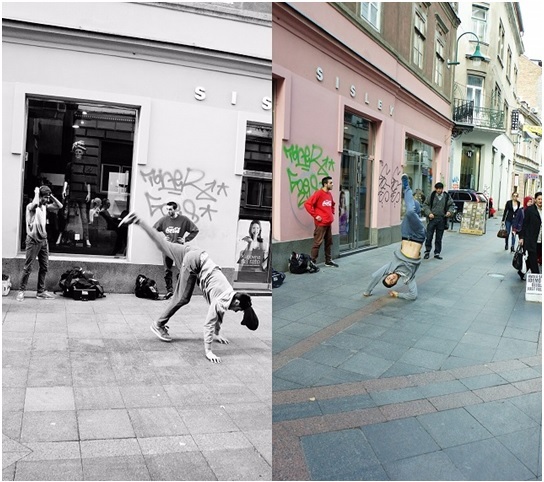 Another intriguing site was to see these youths partaking in break dancing in the middle of the street. I didn’t get the opportunity to ask them whether they were students of not, I guess I got a sense for the lack of structured activities such as sports clubs etc. which are accessible to all. 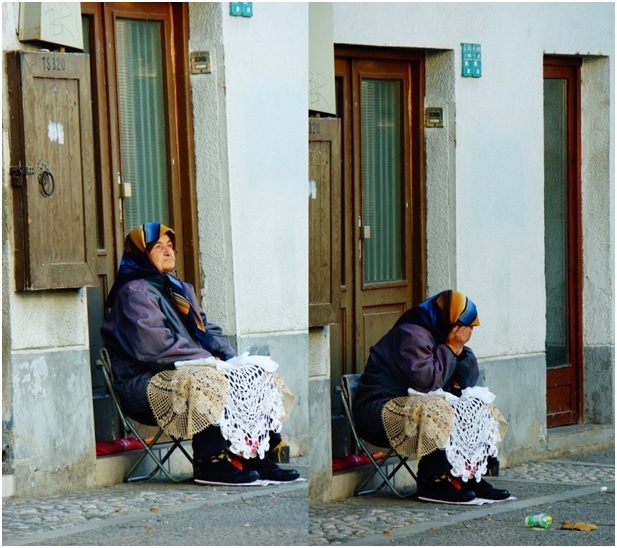 This old lady who was begging on the street corner opposite the site where Archduke Franz Ferdinand of Austria, was assassinated on Sunday, 28 June 1914, a sad and historic event which many historians believe was the trigger for the First World War. The sadness on the face of this lady was only overshadowed by the lines of wrinkles etched across her face showing how old she was, it really touched a nerve, to find someone so helpless and reduced to the indignity of begging even in her exceptional old age. Whilst walking through the streets of the old town, our guide took us to a an old Synagogue, where he then told us a very interesting historical story of the Sarajevo Haggadah, a story of Muslim and Jewish cooperation, a total contradiction to the majority of the historical accounts of religious hatred which we had been hearing throughout our trip of the events which took place during the early 90s. The Sarajevo Haggadah is an illuminated manuscript that contains the illustrated traditional text of the Passover Haggadah which accompanies the Passover Seder. It is one of the oldest Sephardic Haggadahs in the world, originating in Barcelona around 1350. 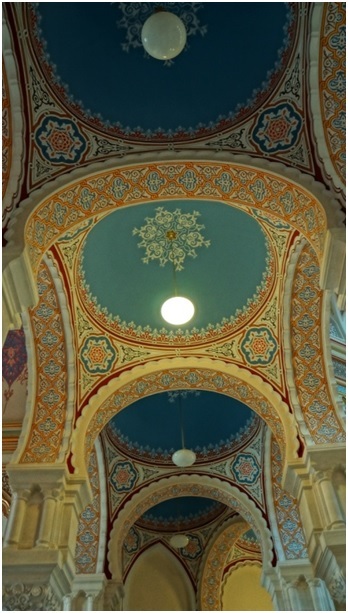 The Haggadah is owned by the National Museum of BiH and Herzegovina in Sarajevo, where it is on permanent display. Its monetary value is undetermined, but a museum in Spain required that it be insured for $7 million before it could be transported to an exhibition there in 1992. The Sarajevo Haggadah is handwritten on bleached calfskin and illuminated in copper and gold. It opens with 34 pages of illustrations of key scenes in the Bible from creation through the death of Moses. Its pages are stained with wine, evidence that it was used at many Passover Seders. During World War II, the manuscript was hidden from the Nazis and Ustashe by the Museum's chief librarian, Derviš Korkut, who at risk to his own life, smuggled the Haggadah out of Sarajevo. 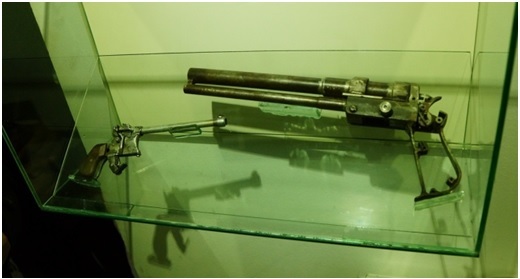 Korkut gave it to a Muslim cleric in Zenica, where it was hidden under the floorboards of either a Muslim Mosque. In 1957, a facsimile of the Haggadah was published by Sándor Scheiber, director of the Rabbinical Seminary in Budapest. In 1992 during the BiHn War, the Haggadah manuscript survived a museum break-in and it was discovered on the floor during the police investigation by a local Inspector, Fahrudin Čebo, with many other items thieves believed were not valuable. 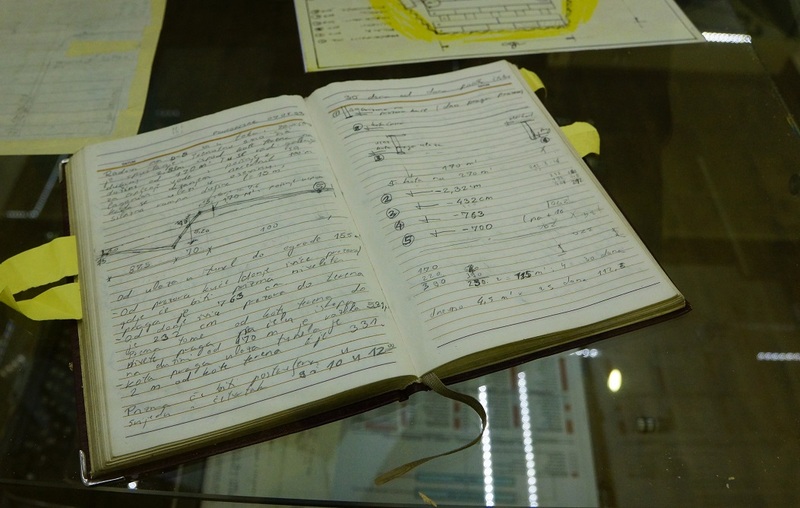 It survived in an underground bank vault during the siege of Sarajevo by BiHn Serb forces. To quell rumors that the government had sold the Haggadah in order to buy weapons, the president of BiH presented the manuscript at a community Seder in 1995. 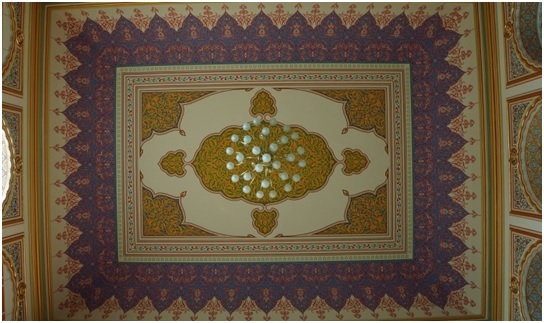 Afterwards, the manuscript was restored through a special campaign financed by the United Nations and the BiHn Jewish community in 2001, and went on permanent display at the museum in December 2002. In 1985 a reproduction was printed in Ljubljana, 5,000 copies were made. The museum has authorized the publication of a limited number of reproductions of the Sarajevo Haggadah, each of which has become a collector's item. In May 2006, the Sarajevo publishing house Rabic Ltd., announced the forthcoming publication of 613 copies of the Haggadah on handmade parchment that attempts to recreate the original appearance of the 14th century original, alluding to the 613 Mitzvot. The next morning we visited The Sarajevo Tunnel, which was constructed between May 1992 and November 1995, during the Siege of Sarajevo (which in case was the longest siege in modern military warfare, lasting a total of 1,425 days from April 1992 through to February 1996). 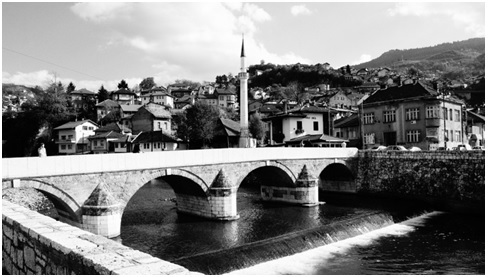 It was built by the Bosnian Army in order to link the city of Sarajevo, which was entirely cut off by Serbian forces, with Bosnian-held territory on the other side of the Sarajevo Airport, an area controlled by the United Nations. 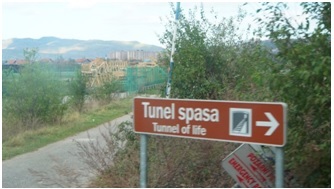 The tunnel linked the Sarajevo neighbourhoods of Dobrinja and Butmir, allowing food, war supplies, and humanitarian aid to come into the city, and people to get out. 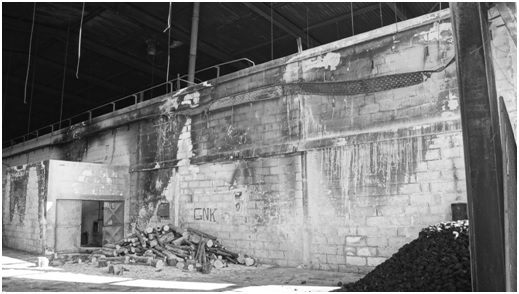 The tunnel became a major way of bypassing the international arms embargo and providing the city defenders with weaponry. The tunnel consists of 160 metres of covered trenches on the Dobrinja side, 340 metres of covered trenches on the Butmir side, and 340 metres of actual tunnel under the airport runway. 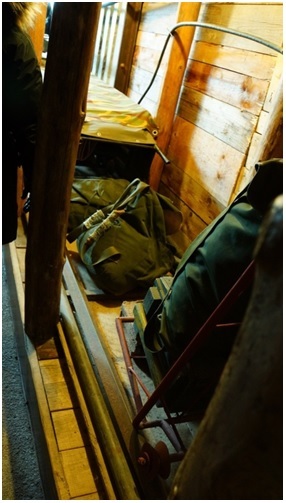 On the Dobrinja side, the average height of the tunnel is 1.6 metres (excluding the height of the iron reinforcements) and averages 0.8 metres in width for the top half and 1 metre in width for the bottom half of the tunnel. 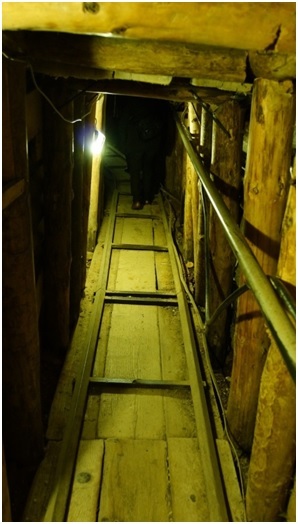 On the Butmir side, the tunnel is slightly higher, 1.8 metres, excluding the wood reinforcements. 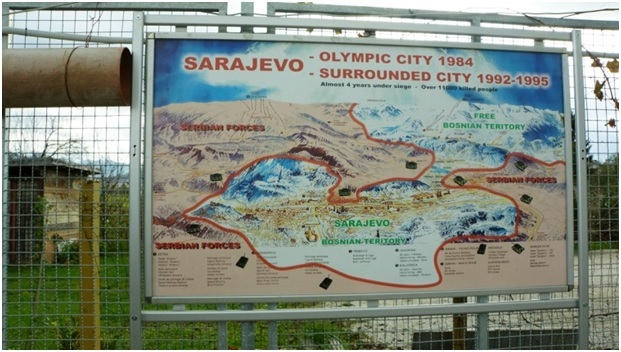 The picture below shows a map of Sarajevo and how it was completely encircled by Serb forces during the siege, what is interesting about this map is that it was the same map used for tourists during the 1984 winter Olympics which Sarajevo hosted, really illustrates the total change in fortunes of the city in a little over 6 years, from hosting an event which symbolises international cooperation to hosting one of the worst wars of the 20th Century. 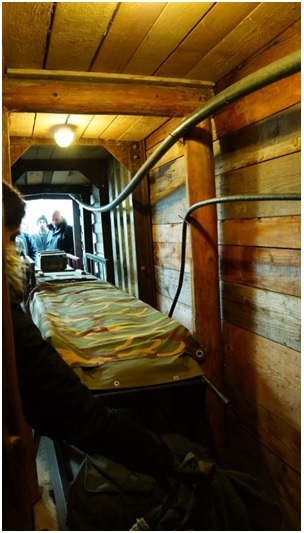 In the picture below you can see a cross section of the tunnel which has been placed outside the actual tunnel (a part of which has been preserved to allow people to see how it used to look during the war). 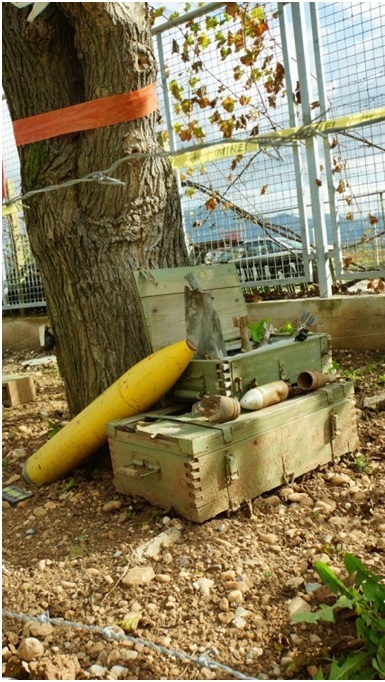 Within the picture below you can see an example of the kind of items, the soldiers and other civilians used to carry across. From a mixture of food and weapons to anything which could help their families survive, whilst living under the extreme conditions of the siege, under constant bombardment and risk of death. Our guide, Resad, a veteran soldier of the war explained to us how he would also go back and forth through the tunnel many times carrying an average of 50kgs of weight on his back. I attempted to lift one of bags, filled with rubble, to resemble the weight; it was challenging to say the least. I guess it showed human determination and will over comes all odds when one’s life and loved ones are threatened. There is a small part of the tunnel which has been kept just as it was during the war, and we walked through it trying to imagine what it must have been like for those who had to make the long journey through the tunnel multiple times over the years the siege lasted. 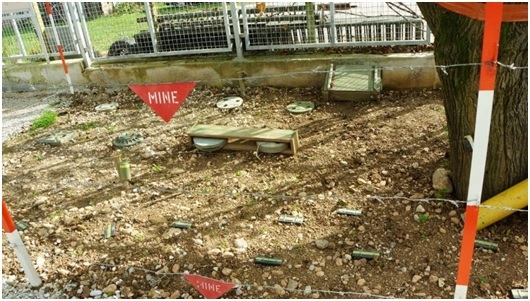 The pictures below show some mines and weapons which are present outside of the tunnel of life museum. This was a strong reminder of the dangers facing the people of Sarajevo during the siege. It aids in explaining why the siege was so long, as being there and observing all these things truly created a feeling of entrapment and danger still only marginal to what the inhabitants must've faced. This picture below shows some of the hand made weapons the people had designed and built to help protect them as best as possible. This re-instates the important point that, the Bosnian army defending Sarajevo in the vast majority consisted of men who were civilians and had no military training, but had to take up arms to protect their homes and their families, as was the case with our main guide for the trip, Resad. 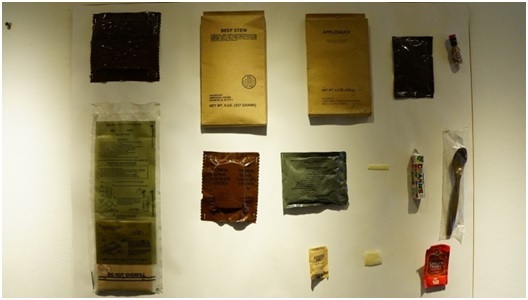 This picture shows the rations which were air dropped by the US Airforce as aid for the people of Sarajevo, as you can see they merely consisted of very simple items the people had to make do with as their staple diet. Resad was to tell us, that even finding such rations (since they were randomly airdropped across Sarajevo) was rare and involved a lot of risk, since the majority of the city was under heavy and constant bombardment, and even when they were able to obtain a ration pack, they lacked electricity to heat and cook the food properly. 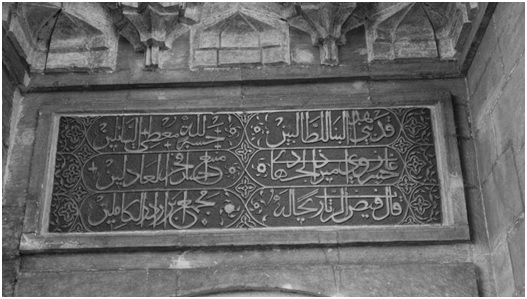 This further signifies the difficulty faced in this unique war where there was no way out for people, and they had to survive under these harsh circumstances for a number of years, until the siege was lifted. On this trip one of the hardest hitting realisations for me was that, from a racial perspective there was no dissimilarity between the different sides of this war, which made the impact of this clear genocide more apparent, as the only difference between these people was religion. The strength and patience shown by the relatives of the victims was admirable, most of us have lost family members through death at some point, but to have multiples of them wiped out with the perpetrators showing no remorse or reason must be a gigantic burden to live with. 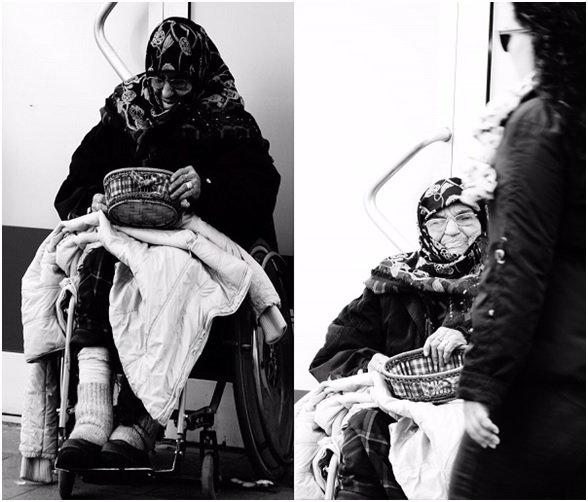 Despite living without any sense of closure in this continuous suffering, not one person asked us for a donation nor made a request to help them, but only asked that we do our little bit for the world to take heed of their remarkable stories, learn from them and raise awareness. 1. Religious establishments begging for money and making it some sort of obligation for the average person (when some, even in the first world struggle to provide properly for their families) making people feel less worth if they do not donate by praying on their conscious through false manipulation of scripture. 2. I strongly believe if one chooses to perform a charitable act then they should not expect "anything" in return, this "anything", could take many forms: benefit received from entertainment where the ticket proceeds went to charity, a charity dinner etc. Now don’t get me wrong, I am not saying such events shouldn’t take place as they do help raise money that is used for good causes; however the question I pose is, if one is capable of performing a charitable act then why not just do that alone with one sole intention? I touched earlier on the systematic failures of the international community and specifically the UN in trying to prevent these events from occurring; nonetheless it needs to be reinforced again in the final word. The primary purpose for the establishment of the UN was to allow the various international powers to work in unison to prevent such heinous acts, and if they cannot prevent, at least take action to stop them and limit the damage. None of these things were done as it relates to Srebrenica, and what was incomprehensible was how armed UN armed soldiers didn’t fire a single shot in defense of those innocents who were being killed, how easily the UN soldiers gave into the demands of the Serb soldiers and handed over the Bosniak men to be slaughtered and the Army of the Republika Srpska (VRS) under the command of General Ratko Mladić broke the United Nations Security Council Resolution 819, which effectively declared 16 April 1993, that Srebrenica as a safe area, and nothing was done to stop this coordinated and planned genocide. I sincerely believe that nowhere near enough attention has been given to these occurrences. I hope this small article was a engaging and educational read, and I humbly request the reader to circulate it as much as possible in order for the knowledge of these events to become widespread. I hope that through this, we can learn to avoid hatred and wholly prevent such atrocities caused by mankind from occurring again.